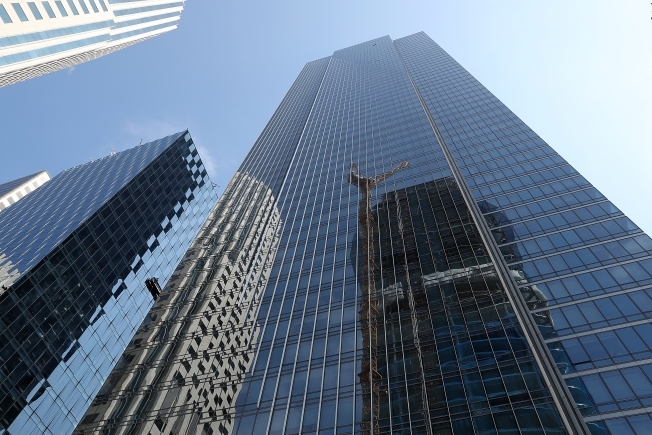 The San Francisco City Attorney’s office is suing the developers of the Millennium Tower for failing to disclose that the building was sinking to buyers as early as 2009. The city attorney’s office served subpoenas to the developer, Millennium Partners, in September seeking to learn whether the sinking problem had been disclosed to residents when sales began in 2009. Multiple owners have told NBC Bay Area they received no such notice. Under California law, owners or developers are obligated to notify buyers of any problems or building defects and can be prosecuted under civil law for withholding the information. City Attorney Dennis Herrera said at a press conference in San Francisco Thursday that the developers of the swanky high-rise at 301 Mission Street knew the building was sinking faster than expected, but didn't disclose that information to buyers or residents. "My office has a duty to protect all the taxpayers of San Francisco," Herrera said. "We're not going to sit by and let a developer or anyone else enrich themselves at the expense of others by hiding crucial information required by law." The city attorney's office filed a cross complaint to an existing ligitation against Millenium Partners. "The reason for the lawsuit is simple. The facts in this case are clear, but it does not make them any less disturbing," Herrera said. Herrera stressed that the developers knew for at least a year that the 58-story residential building was sinking and didn't disclose that information. "Yet, they went ahead and sold condominiums for profit without telling the buyers about the situation even though they were legally required to disclose it," he said. Herrera continued: "Someone selling real estate must disclose details about known property conditions. The law is very clear on that." At the time many of the units went on the market, the city was told the building had sunk 8.3 inches, as of February 2009. But the city didn’t alert the owners. The city has said that it is the responsibility of the developers to inform the owners. Condo owner Jerry Dodson said he would have "never" bought a home in Millennium Tower, if he had known the truth about its condition. Having been kept in the dark about the building sinking and tilting, he told NBC Bay Area that he is glad to see the city taking legal action against the developer. "I was told this was the safest building on the West Coast, that it had a state-of-the-art foundation," Dodson said. Fellow Millennium Tower homeowner Nina Agabian agreed. She says she is now living in constant fear. She loves her house and the view the building affords her, but never feels safe. "It's a situation that really makes us uncomfortable and nervous and sad on a daily basis," she said. According to Herrera, it is the duty of the city attorney's office to protect the city's residents. Meanwhile, Millennium Partners’ leaders insist the publicly-funded Transbay Joint Powers Authority – the agency building the transit project next door – is to blame. In a statement issued Thursday, the developer said the lawsuit is nothing more than "an effort by the city of San Francisco to duck its responsibilities and avoid paying for the harm caused by TJPA."